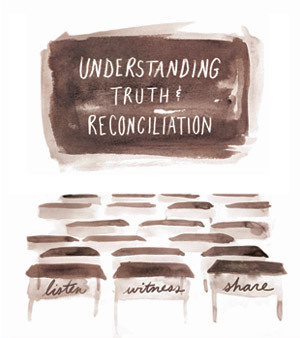 In support of the last national Truth and Reconciliation Commission (TRC) event, UBC's Okanagan campus will be hosting a series of events which will provide venues for dialogue about truth and reconciliation for all students, staff and faculty. The Truth and Reconciliation Commission will host its last national event in from September 16 to 22 in Vancouver. The Truth and Reconciliation Commission of Canada’s mandate is to learn the truth about what happened in the residential schools and to inform all Canadians about what happened. The Commission aims to guide and inspire First Nations, Inuit, Métis peoples and Canadians in a process of finding truth and healing leading toward reconciliation and renewed relationships based on mutual understanding and respect. 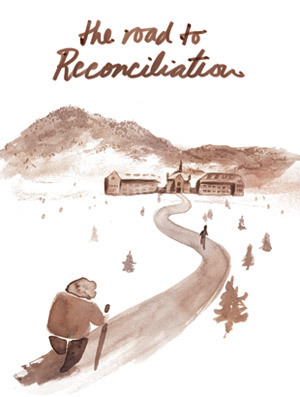 Reconciliation is viewed by the Commission as an ongoing individual and collective process that will require participation from all those affected by the residential school experience. This includes First Nations, Inuit, and Métis former students, their families, communities, religious groups, former Indian Residential School employees, government, and the people of Canada (www.trc.ca). See an overview of the residential schools system and the TRC, and discuss what to expect at the BC National Event. UBC professors Greg Younging and Allison Hargreaves will facilitate a discussion about reconciliation between Indigenous and non-Indigenous peoples in the Okanagan, in BC and in Canada. Transportation departs UBC's Okanagan campus on Tuesday, September 17 at 8:30am and returns at 4:30 p.m. on Thursday September 19. Students, staff and faculty are invited to take part in an event at the First Nations House of Learning at UBC's Vancouver campus on the evening of September 17 as well as the Truth and Reconciliation Commission’s last national event on September 18. To find out more or to sign up for the trip, contact Jeannine Kuemmerle, aboriginal student advisor, at jeannine.kuemmerle@ubc.ca or 250-807-9458. An opportunity to share and reflect with UBC staff and students on the Truth and Reconciliation Commission's national event.